NewsLab eschews the outdated ad-centric news layout paradigm in favor of an elegant, touch-friendly reader-centric experience. 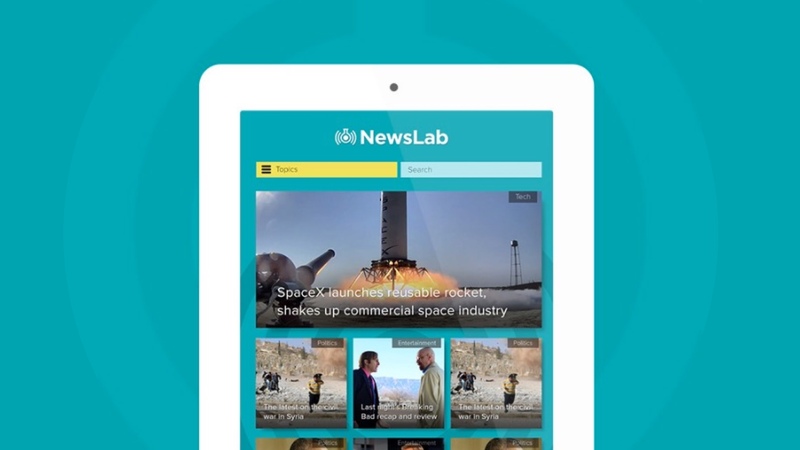 In mid-2013, NewsLab creator and founder David Slavic approached the enterprise digital marketing agency TechShepherd to explore the idea of creating a truly unique news site centered on a content-first, user-centric experience. The vision was to create a news site free from the traditional bonds of advertising, free from the clutter that typically plagues the business model and user experience of even the most modern news sites on the web. As a modern enterprise marketing agency, TechShepherd recognized the unique blend of design, engineering, and publishing expertise needed to make NewsLab a reality, and approached 10up to lead the project. Working closely with the TechShepherd and NewsLab teams, 10up transformed early ideas and concepts into unique, beautifully intuitive designs that would fundamentally shape the scope of the project. Understanding that any modern news site will be largely trafficked by an on-the-go mobile audience, 10up placed emphasis on mobile attributes such as varying screen sizes, touch and swipe interactions, and navigation elements that make native apps a leader in the current mobile market. The result is nothing less than a groundbreaking, elegantly presented publishing and reading experience that never sacrifices usability or speed for great engineering and design. Putting content and members first, 10up has empowered NewsLab to position itself as a truly unique news source for today’s online readers.